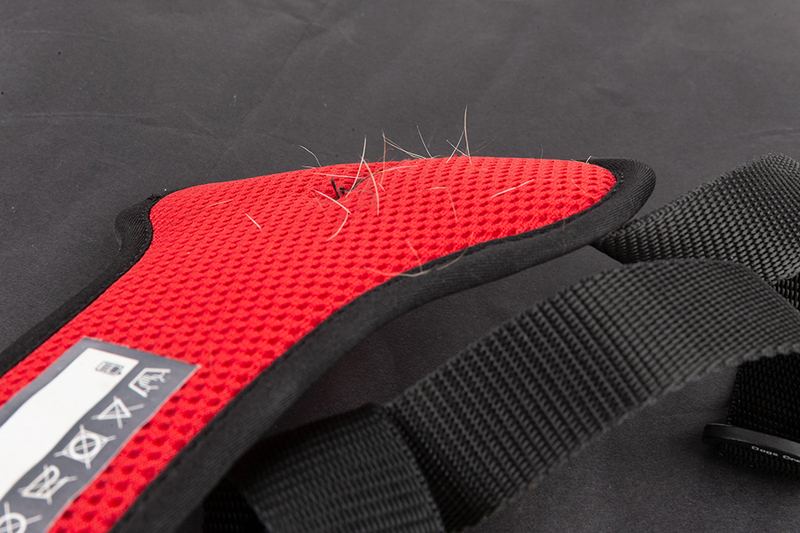 The dog’s hair and skin deserve care and attention, therefore, it is important to pay attention to making sure that the harness lining is made from a material that we ourselves would be happy to have in contact with our skin. 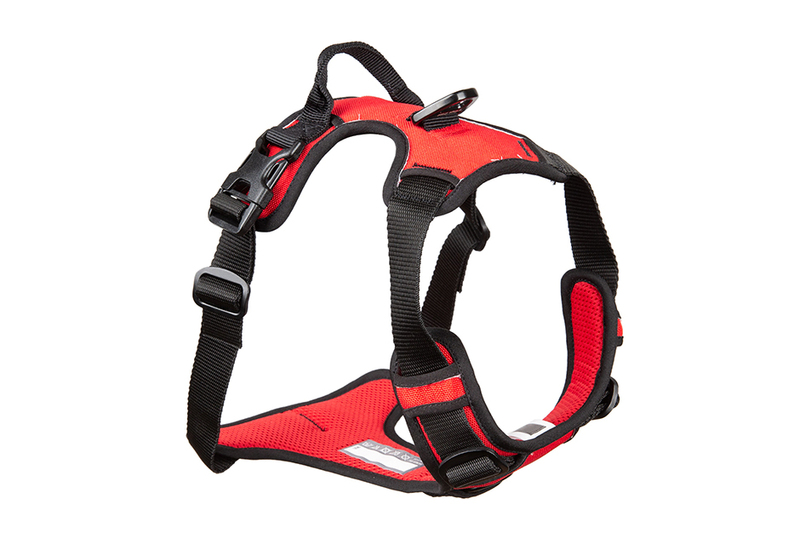 The purpose of the lining in the harness is to separate the stiff and coarse straps from the dog’s coat, thus making the harness more comfortable to wear. In many cases, the lining of harnesses coming from the far east, which are currently swamping the market, are covered in net type, spongy lining, just like those used for the shoulder straps of backpacks. In the case of backpacks, the nylon surface covered with deep holes is good for us, because we people, put the backpack on top of our clothes, therefore, it does not irritate our skin. However, in the case of dogs, a harness which constantly moves on the surface of the hair – especially in the case of short hair pets – pulls out a lot of hair which then gets embedded deep into the material. Another argument against the net type spongy lining is that, after the first use in rain and mud the dirt clogs the surface and then dries hard. Such harnesses, therefore, require more intense cleaning. If possible, choose a type of lining that is also considered acceptable for humans, one which we ourselves would be happy to wear, which contains natural materials and does not let stubborn dirt in.